The proliferation of mobile technology has greatly helped to bridge the information gap in the society. Whether it is an urban area or the rural area, the mobile phones have become the common device. Taking the leverage of this technology, mKisan has reached millions of farmers across 6 states of India, where the conventional agriculture extension service could not be reached. Some of the farmers shared their experience of using the service. A farmer from Bihar of West Champaran district said that he has received some of the best information from the SMSs. He shared that he never used to irrigate his wheat crop when the wheat heads were forming. But an SMS on wheat crop said that it’s very important to irrigate the wheat crop at this stage. It would help in the formation of the heads. So, he irrigated his wheat crop, the result was good. From then on, he has always practiced it. A farmer from Madhya Pradesh of Indore district shared that talking to an expert over the mKisan helpline proved beneficial. 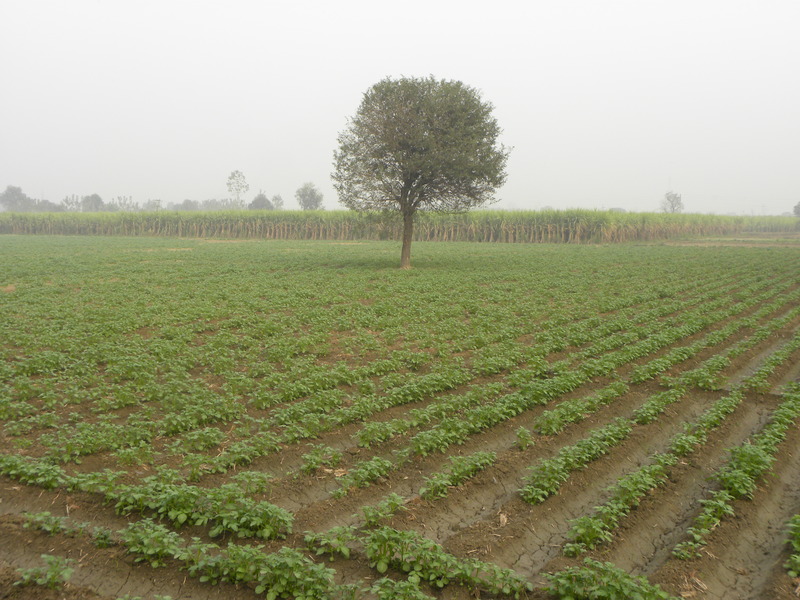 His potato crop was affected by blight; this reduced the potato production significantly. Expert suggested using fungicide, which helped in protecting his crop. Beside this, the farmer also came to know about the application of nitrogen in gram. Previously, farmer used to apply nitrogen after 15 days to one month after sowing. Expert over the helpline advised to use the nitrogen right in the beginning during the first irrigation after sowing gram. This is applicable for garlic crop too. This advice gave good results and increased the crop yield. In a new development, mKisan has recently launched a call centre across three Hindi speaking states of central and eastern India, (Madhya Pradesh, Bihar and Uttar Pradesh). By dialing 556780 from their mobile phone, farmers can access the mKisan service and call centre in these three states. The call centre will help farmers to directly connect with subject matter experts to get answers to their farm related queries. As part of the call centre, a farmers’ interface and an experts’ interface have been created on an IVR (Interactive Voice Response) system. The interfaces allow users to select a subject matter (e.g. insect related problems), record a query, answer a query, listen to the solution to an answered query etc. Using this system, if an expert is not available, farmers can record their queries and the expert can provide answers to queries when they are logged-in through their mobile phone. A usage report based on call centre data gathered in 20 days of July 2013 shows caller trends (see table below). The report is quite encouraging for the first month of operation. The call centre will help to generate analytics on call patterns for crops & livestock and will highlight the kind of problems which are faced by farmers in the field. Both the number and types of query will be recorded and individual farmer queries will be analyzed to develop a picture of the everyday issues the farmers are dealing with.